We are an approved Arkansas Insurance Department continuing education provider (Provider ID# 12752). 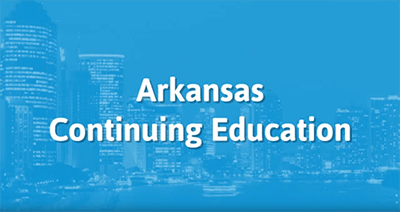 If you want a fast and flexible way to complete your continuing education requirements as an Arkansas insurance producer, you're in luck. All of our online courses can be completed At Your Pace Online in order to help you renew your insurance license, and never include any hidden fees. Once you complete one of our online courses, we will report your course completion directly to the state for you. Most Arkansas resident producer licensees are required to complete a total of 24 hours of CE each two year renewal period. Of the 24 hours, a minimum of 3 hours must be in Ethics. This course provides all 24 hours of CE that you need! This course will review key concepts and principles of Property and Casualty insurance. It includes 21 hours of education on Property and Casualty topics, as well as 3 hours of Ethics and the mandatory exam. We don't charge additional reporting fees! This course provides all 24 hours of CE that you need! This course will review key concepts and principles of Life & Health insurance. It includes 3 hours of ethics, 21 hours of General/L&H content and the mandatory exam. 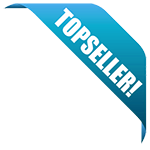 No additional reporting fees! This course provides 21 hours of CE that you need! This course will review key concepts and principles of Property and Casualty insurance. And there's no additional reporting fees! This course provides 21 hours of CE that you need! This course will review key concepts and principles of Life and Health insurance. There are no additional reporting fees! This 8 hour class is approved by the State of Arkansas. Itmeets the mandatory education requirement to start selling Long Term Care Insurance. No additional reporting fees! This course applies to producers who need to renew their Long-Term Care Certification to continue selling LTC Insurance. This course will review key principles and concepts related to long-term care insurance policies. No additional reporting fees! This 3 Hour course will meet your one time Certification Requirements to start selling Flood Insurance in the state of Arkansas. We don't charge additional reporting fees! This course satisfies 3 hours of ethics training for any Arkansas insurance producer, in any line. And there are no additional reporting fees!